So I use Kato Unitrack and this means that each switch (point) is using up one location on the SwitchPilot and SwitchPilot Extension. 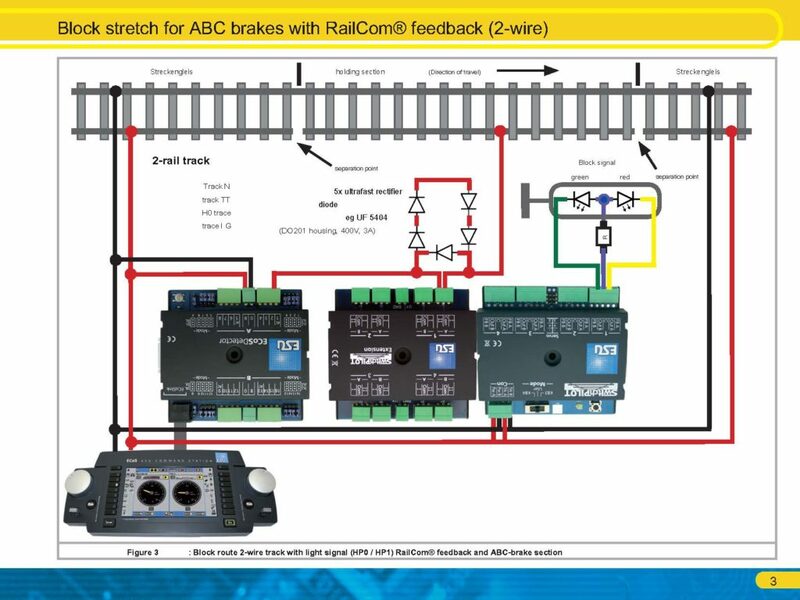 To understand how to implement a Kato switch on ESU follow this link. 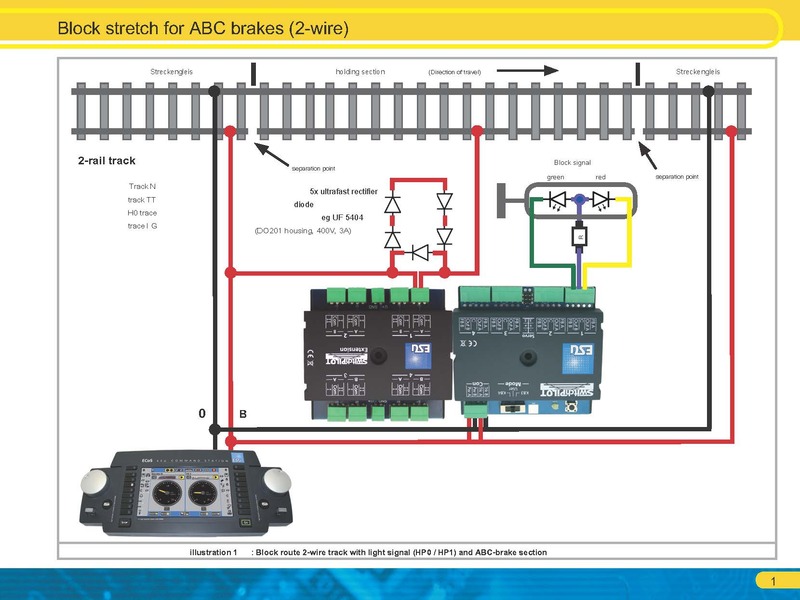 ESU provides a detailed description of signaling and braking and with clear explanation but in German. So I am providing the block diagrams in English.